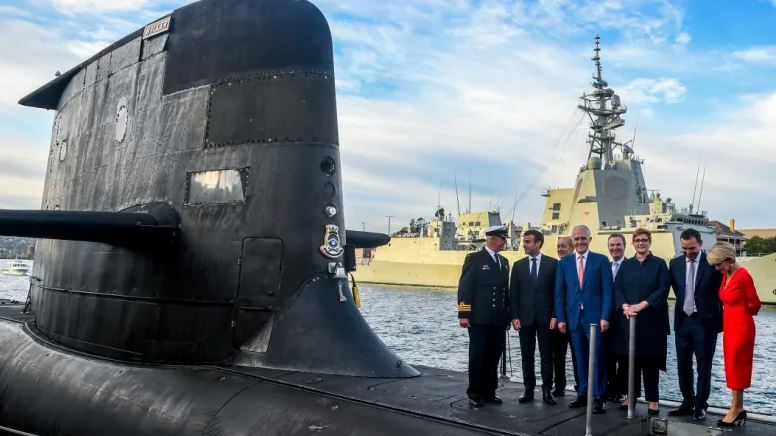 The absurdity of Australia’s submarine frolic? The absurdity is becoming obvious to all of us (at least to those who can read). The inertia of our response and lack of anger, beggar’s belief. I know this is a classic example of certain politicians buying the votes of their South Australian electorate, where they will feel the concentrated benefits. Unfortunately the $50 billion cost will be spread over all Australian with no visible benefits. I’ve been assured by a ‘confidential’ representative of the French submarine designers that they are proceeding with designs for two Australian submarines. One being the obsolete diesel-electric option, as ordered by our Government, and the other being the conventional nuclear powered version in use by France. They anticipate that ‘the Australian Government will come to their senses in time to convert the order to the nuclear standard model’. We can only hope for ‘a notice to amend’ to emerge from Canberra, as after all it is our $50 billion that is being spent. Most of us would like to be defended by weapons of the 21st Century vintage. If we have to defend our country we can be certain that any enemy will not be using weapons from the last century. I am baffled by the Federal Government giving the project to South Australia when that State Government cannot guarantee the supply of electric power. Their move to renewable energy has left them at the mercy of the elements so they will be reliant on Victoria or New South Wales to fill the gap when the sun does not shine and the wind blows either too strongly or not at all. In the long term, only nuclear power will provide the energy industry and the population in general will need, as well as the submarines. With the quietest Sun for a long time, a testing freeze may not be far away.